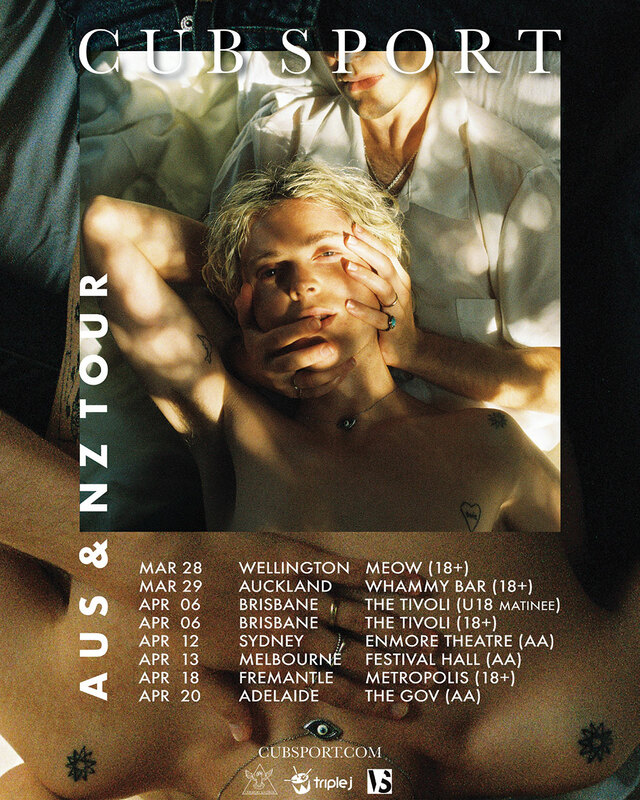 As the release of their third studio album - the self-titled Cub Sport - gets closer, Brisbanes Cub Sport give you the second official single from the album “Party Pill” (out now) and announce their biggest headline tour to date, as they take their new album on tour around the country throughout April. “Party Pill” expands on the journey Tim experienced as he was falling in love with Sam but trying to hide it from himself and everyone around him, to now facing their fears and embracing their love privately and publicly. The video for “Party Pill” also marks a first for the band, as its their directorial debut! It was important the clip captured the story and the depth of the song – the result is an expression of the softness and intimacy they never felt they could share until now.